Friends and followers! A couple of weeks ago I was fortunate enough to be contacted by the nice people at the PR-firm Edelman Deportivo, working for the swedish drinks-distributor Nigab. 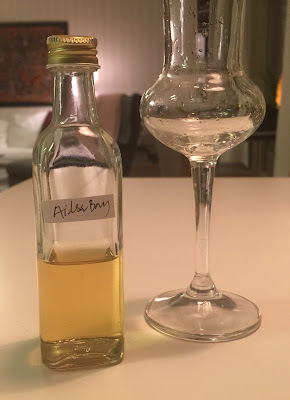 They wanted to know if I would like to review their coming release of a whisky called Ailsa Bay, of course I wanted to, and so they sent me a sample, so big thanks for that! Ailsa Bay was founded in 2007 and is produced at the distillery with the same name. It’s situated in the Lowlands, right beside the grain distillery Girvan. Both distilleries are owned by drinks giant William Grant and Sons. The whiskey is a peated (21ppm) NAS, and has been matured in bourbon casks from Hudson Whiskey. It’s bottled at 48,9% ABV. Ok, let’s see what we are dealing with! Hmm… cool stuff! The initial taste is very soft (for about half a second) but then the peat instantly takes over with actually quite a lot of the black pepper from the nose coming through! I also get a quite pepper-y feeling in general and something like salt liquorice taking over when the peat has gone away (which it does quite fast). 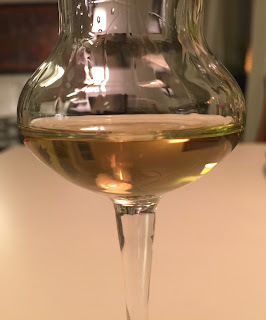 Even if there’s not really a feeling of newmake on the nose it’s sort of there on the palate mixed up with something kind of vanilla-esque, so the ”young whisky”-style is quite well hidden because of the slightly bourbon-y stuff… Style and profile-wise, this is a quite interesting whisky indeed, but, the aftertaste is very short only lasting 2-3 seconds after swallowing. This probably happens due to age and because of a too low bottling strength, for my taste that is. Also, the aftertaste almost only consists of the feeling of black pepper… Really looking forward to trying the coming releases though! Please follow SamuelWhisky on my Zuckerberg-page by going here and my bird-page by going here. Copyright © and All Rights Reserved on all tasting notes by SamuelWhisky and pictures likewise belong to SamuelWhisky unless stated. 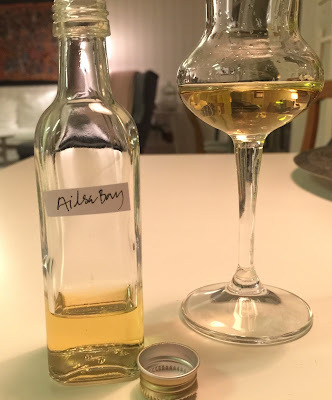 If you would like to use any such material that belongs to SamuelWhisky or associated with SamuelWhisky, please ask by sending me an email to samuelkarlssonorebro(at)gmail.com Sláinte!